Warning: Don’t sign a contract with Xfinity until you have considered the findings in my Xfinity Home review, which was recently updated to reflect their current plans and pricing. We’ll cover monitoring plans and pricing, equipment packages and costs, current promotions/discounts, customer reviews, and more. 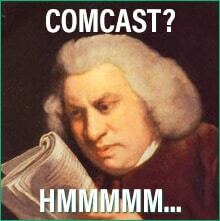 Most people know Comcast XFINITY for their TV and internet services. When Comcast saw the success of modern home security companies like Frontpoint and Protect America, they jumped into the home security market with their own system. While Comcast does not heavily advertise the home security and automation services that they offer, they do promote it hard to existing customers who already use their TV and internet services. As a fairly new member of the home security and automation industry, it is pretty safe to say the amount of customers that opt to use their home security services will only continue to grow. 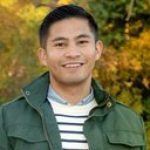 What Do Comcast XFINITY Home Customers Say? Comcast Xfinity is one of the biggest media companies in the world as they trail only AT&T-DirecTV when it comes to size as a pay-TV company. 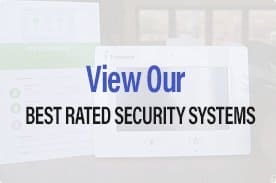 Their entry into the home security and automation industry was rather recent, although they already made quite a name for themselves due to the advanced technology and ease-of-use that their systems provide. As with most major companies that offer home security and automation services, the overall opinion provided by customers is widely varied. While the fact that Comcast is new to the homes security industry means that initial problems should be expected, most of the issues that customers have complained about are similar to the problems they have with Comcast’s TV and internet service. Just about every positive review provided by users says something about the advanced level of equipment that Comcast offers. Customers clearly love the simplicity of the touch screen controller while also enjoying the fact that you are able to add on more sensors and home automation services when desired. While there are quite a few customers who thoroughly enjoy the home security services provided by Comcast XFINITY, there are many others who absolutely despise everything about the company. Most negative reviews come down to three main issues; the long term contract with high cancelation costs, the unreliable app, and the lack of customer service. As you can see, there are some customers out there who feel strongly that Comcast XFINITY is not a solid option when it comes to home security. It should be noted, however, that many of the issues that customers are outlining have to do with a misunderstanding of what is being provided. If you know from the beginning that there is a high cancellation fee and that customer service is automated, many of these negative reviews could be avoided. 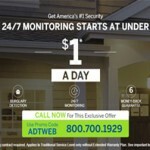 As has been mentioned, Comcast actually does not do a ton of advertising for their home security services. Instead, they tend to focus on offering these services to homeowners that are already trusting them for their TV and internet needs. Comcast then offers these services in a large bundle, which enables customers to experience significant savings overall when using all three. While the customer support that Comcast delivers is something that is consistently complained about, the major reason for this is because most people are unfamiliar with the amount of automation that they use. Customers who are already using their TV and internet services will find that finding customer support is very similar and simply requires a bit of patience while working with the automated system. Just about every customer that trusts Comcast XFIINITY for their home security services marvel at the overall quality of equipment that they use. The touchscreen control panel is as advanced as you will find in the industry and users also enjoy just how easy it is to become familiar with. If you are thinking about switching to Comcast XFINITY for your home security, your best bet is to wait until they are running one of their promotions. With the promotion pricing, the initial cost is significantly lower than many competitors and you may even be able to get your complete system installed for free. You can also call a sales rep from Comcast and negotiate promo pricing with them. The fact that Comcast uses certified service technicians to handle installation and repairs is a huge plus for many homeowners. While a lot of security companies will have homeowners perform self-installation and set up as well as ongoing repairs, Comcast lets the professionals take care of all of this for you. This is a major perk for homeowners that are not tech savvy and would otherwise have little idea of what to do. One of the reasons that Comcast’s security system has developed a strong reputation for reliability is because of its use of two backup options. Each Comcast system includes both a cellular and battery back-up to ensure that there is as little downtime as possible even when a wire has been cut or the power is out. While there are plenty of security companies out there that offer 24/7 professional monitoring, Comcast has their very own monitoring stations to ensure maximum response times. This is another reason that their security system is seen as such as reliable option. 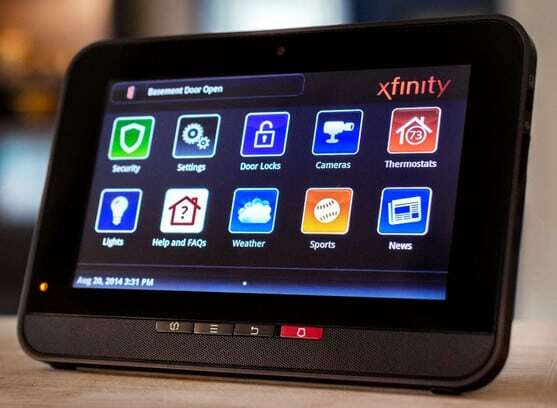 Comcast XFINITY’s system is known for being incredibly easy-to-use, especially with the touchscreen control panel having plenty of clear options for setting things up. There is also an app that goes with the system which allows you to easily arm and disarm the system from a remote location. While there were some initial problems with the mobile app, those issues seem to be taken care of at this point. When Comcast first announced that they were going to get into the home security and automation business, their initial goals were aimed much more towards home automation than they were towards security. Many of the packages that Comcast offers come with a wide array of home automation capabilities that allow you to do everything from turn your lights off to change your home’s temperature remotely. Three out of the four security monitoring packages that Comcast offers include the option of including video cameras with your order. This is something that you will not find with many similarly priced security companies. Video can be streamed live directly from your app although there are special protocols to go through if you intend on looking over past video. Possibly one of the biggest advantages of going with Comcast XFINITY’s home security systems is the fact that they provide the ability for completely customizable settings. The main goal of the service is to offer as much convenience as possible to homeowners and they are able to do that by allowing you to customize the settings of both your control panel and your app. In addition to the initial customizable settings, you also have the ability to easily integrate new sensors, cameras, and other equipment into your monitoring package. This enables users to personalize just about every aspect of home security and automation. 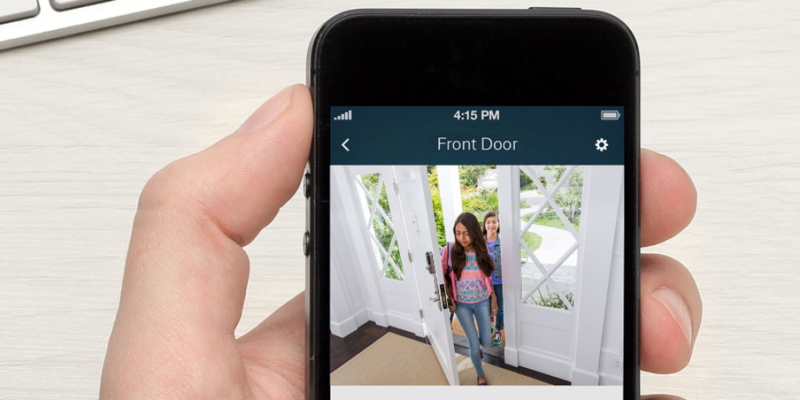 Do you currently use the XFINITY Home security system? If so, we would love to hear about your experience with it. We encourage you to leave a quick review about what you like and do not like about the service, as well as areas that you think they can improve. We appreciate any and all feedback as you are helping future customers make more educated buying decisions. 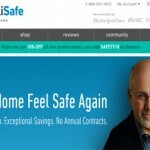 Our review is among several you may want to consider while shopping for home security companies. Please share your review of XFINITY Home below in the comments section. It may be convenient to bundle your home security in with your TV and internet, and that's what Xfinity is counting on you to decide. But we recommend doing more research into other companies who have much higher customer satisfaction rates. A quick check on twitter for #frontpointsecurity for example and you'll find happy customers.. Search twitter for Comcast or Xfinity and you'll find plenty of unhappy customers. Great overview; thank you. About a year ago, Xfinity Home made headlines for a very-easy-to-exploit security flaw w/ its wireless signal being jammed. Has that since been rectified? While this may have been fixed since then, I personally have been unable to find any update showing that this was ever rectified.